It’s only Wednesday but there is plenty of news to look through in the crypto space. Specifically, yesterday two news stories caught our eye, one on Starbucks and how they could be soon accepting Bitcoin and the other the faults in the EY cryptocurrency tax calculator. Just imagine, you’re walking to work and pass a local Starbucks and decide you want a coffee to keep you going in the morning. 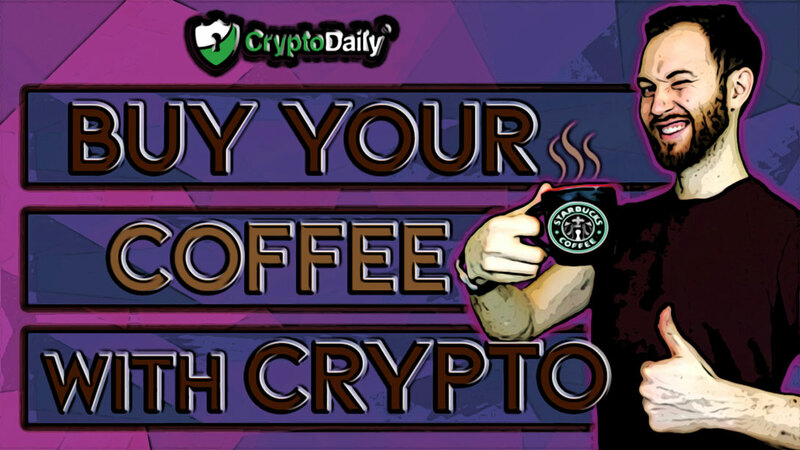 Instead of paying with cash or card you can decide to buy your morning coffee with Bitcoin! Being able to buy your coffee with Bitcoin is but a crypto enthusiasts dream. If you could do such a thing, the mainstream adoption for the crypto space would be immense. There are more than 14,600 Starbucks locations across the United States and there are around 30,000 locations for the coffee giant across the globe. So if a company this size adopted Bitcoin, it would see a lot of the crypto community with a lot of smiles on their faces. Rumours surfaced a while ago about the potential adoption of Bitcoin payments by the American coffee company and when The Block came out with an article earlier this week, those rumours became all that more real. The article was in relation to Starbucks’ equity deal with the upcoming Bakkt crypto payments platform. They described the deal could “allow coffee-lovers to pay in-store” by utilising special software from Bakkt. The firm has given Starbucks received equity in as part of its terms. This suggests that cryptocurrency adopters would be proposed to use a third-party intermediary system to “make purchases” using Bitcoin. In addition to this, it also notes the fact that Starbucks isn’t currently prepared to “risk” directly holding any digital asset. Instead, it will swap any digital currency it receives for fiat and then spit out the correct funds with traditional money. If the coffee maker allowed their customers to convert their cryptocurrency into fiat then that’s great but it isn’t the same as Starbucks accepting payments in cryptocurrency itself. Then again, you could argue that Bitcoin wouldn’t be able to handle the amount of business that Starbucks receives with real-time on-chain transactions. Even a small portion of the overall consumer rate for Starbucks could see Bitcoin overloaded with transactions. So maybe Starbucks won’t be accepting Bitcoin anytime soon. But there is potential there with Starbucks recent equity deal with Bakkt. In another crypto related news story that surfaced yesterday was EY launching their faulty cryptocurrency tax calculator. One of the biggest business service companies in the world is Ernst & Young and is classed as one of the “big four” accounting firms. The EY is seemingly getting ready to launch a tool to make the cryptocurrency bookkeeping that little bit easier. The creatively named “Crypto-Asset Accounting and Tax Tool,” also known as CAAT for short, is going to be soon rolling out the United States as a part of EY’s aim to become the leading blockchain-related services provider in the crypto sphere. This isn’t the first system that makes it to the market as one of the other “big four”. KPMG launched a similar tax calculator system for its clients in Australia in 2018. If you follow EY’s crypto announcements and details closely then this won’t come as much of a surprise to you, last year the company acquired the blockchain startup Elevated Consciousness which originally developed the CAAT software. The reality though is that they are just that bit closer as EY has released the tool to a range of its clients. Primarily aimed at institutional investors that have some digital assets, it will eventually be made available to smaller clients that don’t trade as such high volumes when it comes to crypto. The report also says that CAAT sources “transaction-level information from virtually all major exchanges.” This is by collating all the information it can automatically generate tax reports and prepare Inland Revenue Service tax returns, in terms of the crypto assets held by a company.